For my Chick Flick movie event, I prepared this southern inspired dip which I found online. I initially was looking for a tasty recipe for fried green tomatoes and an accompanying dip. When I went to the grocery store, there were no green tomatoes to be found. This recipe was what I planned on making. Instead of giving up on the dish altogether, I prepared the dip with some crispy bits of bacon and served it with fresh crudites instead. In a frying pan, fry up the diced bacon until crisp. When crispy and brown, drain and set aside. Combine the remaining ingredients and chill for at least 2-3 hours. When ready to serve, plate up the dip and top with the crispy bits of bacon. yum! i could go for some of this right now! 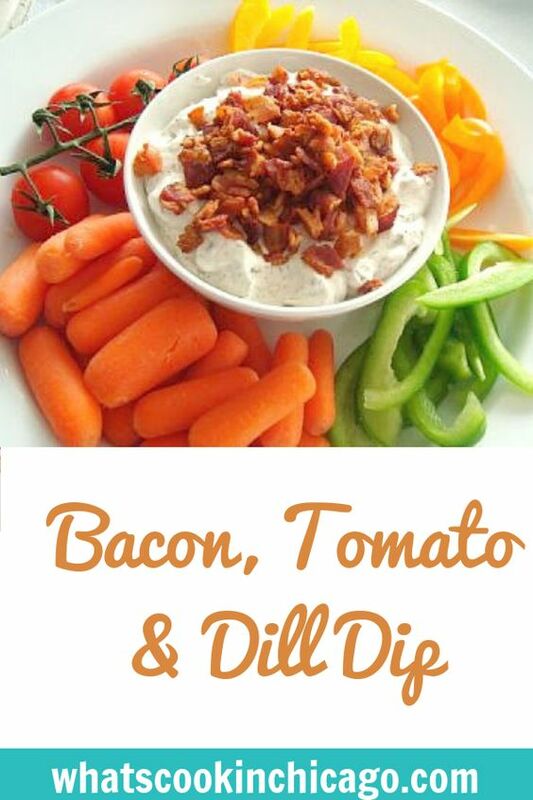 This looks like a great dip recipe. And you just had to mention fried green tomatoes didn't you. Mmmm to those too!